My writing is all about the novel you see. Anything else is good practice, and one day I'd like to adapt a novel for the stage I'm sure. Short stories don't often do it for me. I'm just getting into it and it's gone, there's not enough to entertain me as I wish to be entertained. As for flash fiction, it's concise and nowhere near even the start of a scene. Poetry. Where does that fit in? I did the teenage angsty stuff and courted my wife with it naturally. I read the poets we do at school and enjoyed Keats, Coleridge, not so much Milton or Hardy. I pushed the boat out and got into Wilfred Owen, Yeats and that was about that. Spring forward to Kingston Uni and the poetry is a welcome diversion from academia. I enjoy little forays into using expressions that one simply must not use in a novel. Tutors like my poems, visiting poets too. And such are reputations born I guess. No one is more surprised than me. It's quite fun though! Having submitted a reasonable number of poems to the right mags I haven't had any published outside of Kingston. No sweat, I'm not trying too hard and certainly am not precious about it. It seems to me that poets spend a fortune on subscriptions, submitting to competitions and the myriad of publications to be featured sometimes and then you might get to produce a pamphlet. Is that it? The first step to poetic success? Blimey. And years later you may be asked to collect your bits and pieces for a collection, and sell it to, what 150 people. You have hit the big time! One part of it I have shied away from is public readings. The few I have attended have been mixed. I can't take much of it in, I need the poetry to be written down in front of me. I catch an interesting line and the rest of the poem has been and gone. My understanding is poor, seriously it is. I do not get what the poet is saying, trying to say, trying to sound out to me. I enjoyed American poet Michael Surnowski, and Wendy Cope is the loveliest person I think I met amongst the visiting stars! Her down to earth approach, and advice and guidance was thoughtful yet she had strong opinions too; the balance was spot on. Over the last year though I have spent several wonderful evenings with two poets from Kingston who really are making a name for themselves, Lucy Furlong and Dave Russomano. They have looked at some of my work and offered suggestions aplenty to improve them, their patience is very satisfying! Lucy is a prolific performer and Dave has done more than his fair share too. 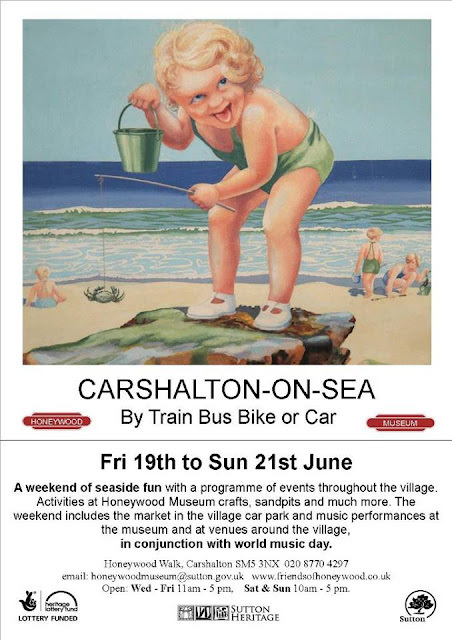 Lucy recently invited me to join them, and another fascinatingly creative lady, Sarah Dawson, in reciting a few pieces at the Carshalton-on-Sea Festival. So, I've refreshed a couple of Suffolk pieces and will be doing 'Lowestoft Fish Market' and 'Pakefield Beach' in that homely accent. 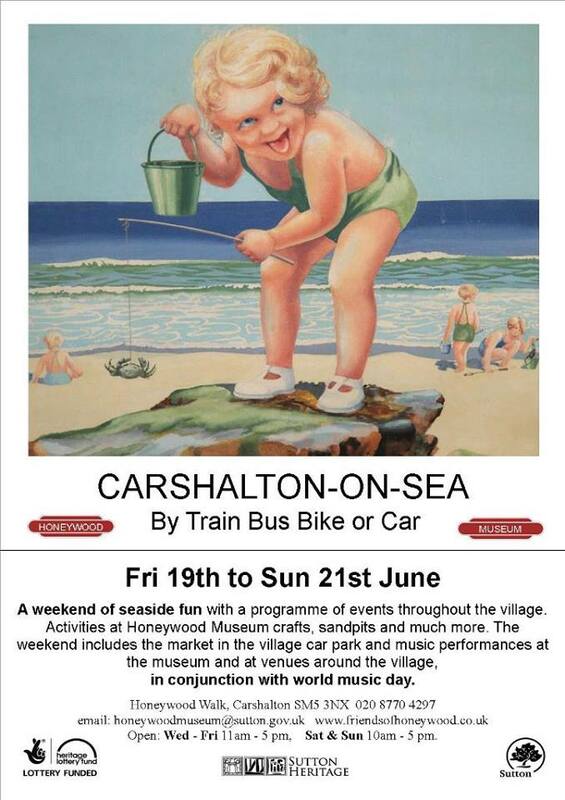 A new piece is under construction for the event and is based around the water tower in Carshalton. I'm actually looking forward to it. Who knows I might even enjoy subjecting an audience to my work, something I never thought I should really do. at my age, you know? in a state of confusion? I have a void, you see. my gargled words and b movies.